There are steps you can take to make the appraisal process go smoothly. Finding a buyer for your property does not guarantee a sale. Before the buyer closes on the loan, a home appraiser will need to pay a visit. The appraiser assesses your property's value, and as a rule, the home's sale price cannot exceed the appraised value. The appraisal process can invoke anxiety and nervousness for sellers, but remembering a few keys can help increase your home's value. The overall condition of your home can affect the appraisal. While you don't have to clean out closets or remove items from under the bed, it pays to declutter the house and tidy up the rooms. Walk through your house and look for areas that need improvement. Carpet stains, marks on the walls and broken fixtures can leave a bad impression, potentially reducing your home's value. To ensure that your house appraises at the highest possible price, spend a few days sprucing up your home's condition. This might include shampooing the carpets, repainting the walls, fixing a leaking toilet or repairing a hole in the wall. Don't focus all your attention inside the house. The appraiser will conduct a review of your exterior. Poor landscaping, a broken garage door and a cluttered backyard can also lower your appraisal. You don't have to hire a landscaping crew and complete redo your backyard, but you should mow your lawn, edge the yard, trim hedges, and remove trash and other clutter. If you have time and a few extra bucks, buy potted plants to add color and enhance your curb appeal. Take care of other exterior problems, such as removing mildew off the house, putting on a fresh coat of paint on the garage or shed and fixing broken gates. The appraisal process is fairly quick. The appraiser walks through your house and assesses the overall condition of the house. Upgrades and repairs do increase your property's value, but the appraiser may overlook these items. Before your scheduled appraisal, make a list of all repairs and upgrades completed within the last 15 years. These might include a bathroom makeover, a kitchen remodel, a new roof, new windows, a room addition or a pool. Include the date of each upgrade, as well as the cost. Give this list to the appraiser. A low appraisal can stop a house sale. If you feel that the appraisal doesn't fairly reflect your property's value, ask the lender for a copy of the appraiser's report. Appraisers can make mistakes, such underreporting the square footage of a house or omitting desirable features from the report. Bring any mistakes to the mortgage lender's attention. If the report is accurate, ask the mortgage lender for a second opinion. In this case, the mortgage lender may assign another appraiser to assess your house. 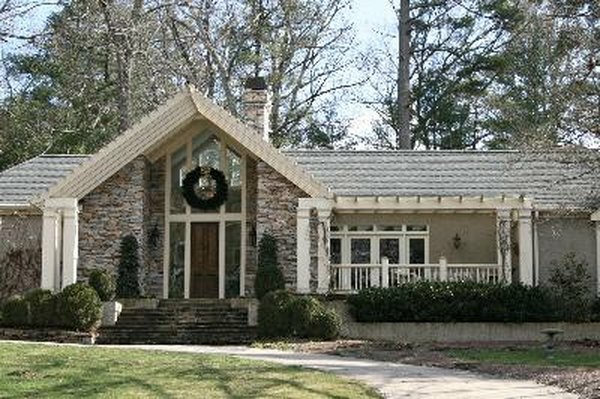 While the buyer pays for the initial appraisal, you are responsible for any additional appraisals.